From the front porch of his home, Mike Omeg can see the land where his great-great-grandparents labored to create a homestead and start a family 112 years ago. 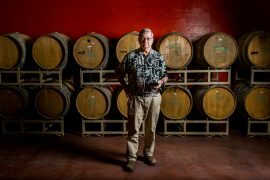 He can feel some of that effort under his feet—his ancestors built the farmhouse where he and his wife are raising their four children—and smell the sweet cherries that have always ushered in spring and summer in the Columbia River Gorge. The now-330 acre farm also had to specialize. In the 1980s, Omeg’s parents made the decision to focus on growing premium-quality fresh-market cherries such as Bing, Regina, Sweetheart and Skeena. 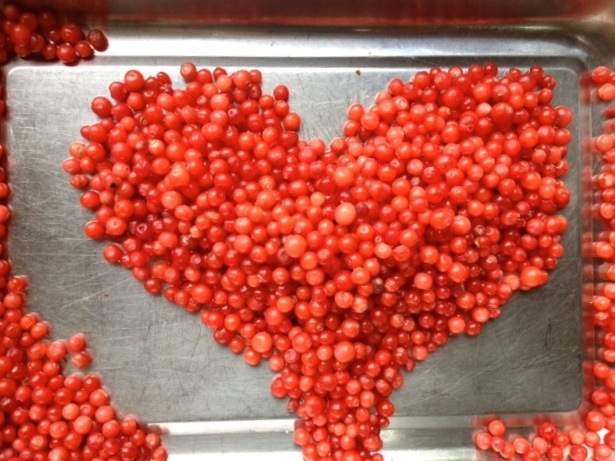 When Omeg’s grandparents sold cherries, most went to the processing market. “They were growing what we call brine cherries, which are the cherries that go into cocktails and the maraschino cherries,” he said. As demand for whole fruit grew in Japan and then China, it made more sense for the family to grow fruit for export. Another change from his great-great-grandparents’ day is the amount of labor it takes to run the farm. Omeg employs thirty-eight people year-round. When the trees come out of dormancy in April, those folks stay busy doing things such as mowing around the trees and setting up irrigation lines. During the June and July harvest, the staff blooms to more than 300 people. Cherries are a very labor-intensive crop. Whereas wheat is almost completely mechanized, cherries are almost the complete opposite. There’s almost nothing that’s mechanized. The reason? “Farm work is not considered good work,” Omeg said. 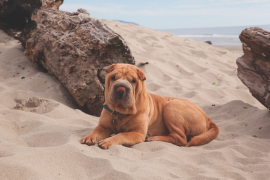 “It can be hot and dirty, or wet and cold. There aren’t as many folks that enjoy working outside and doing physical work.” Like many farmers, he’s turned to the Hispanic population to supply a reliable and skilled workforce. Of his thirty-eight year-round employees, thirty-five are Hispanic. “There’s also a belief that farm work is not skilled work,” Omeg added. “There’s a perception that farm work is shuttling manure back and forth and then sitting back and watching the crops grow.” In reality, a number of Omeg’s days involve working with GPS mapping or other systems used for precision agriculture. 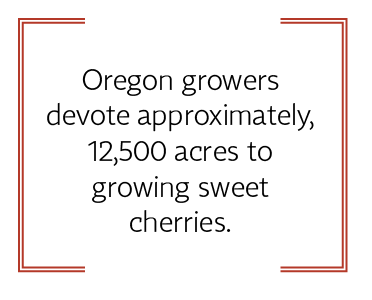 Oregon growers devote approximately 12,500 acres to growing sweet cherries. The overwhelming majority are located in the northern part of the state. 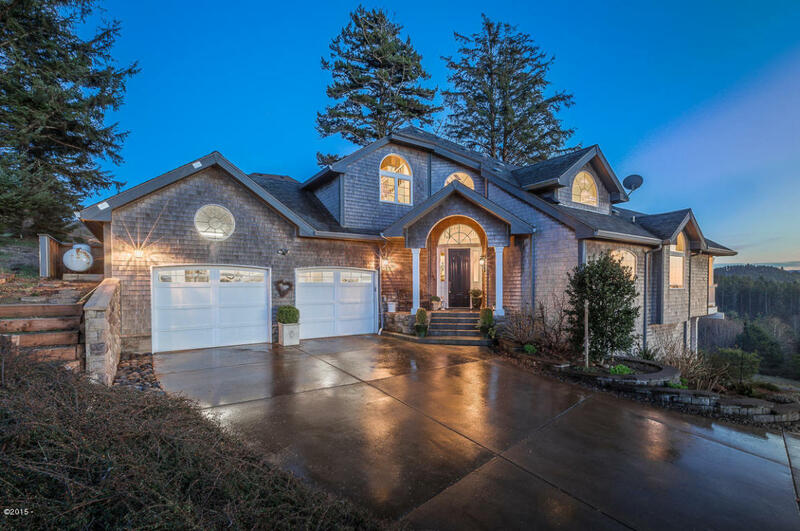 “Dry and arid summers, the nearby mountains, and the water and fertile properties of the Columbia River Gorge give Oregon growers the perfect environment to grow premium sweet cherries,” said B.J. Thurlby with Northwest Cherry Growers. According to U.S. Department of Agriculture statistics, growers produced 38,700 tons of sweet cherries valued at more than $67 million in 2015. 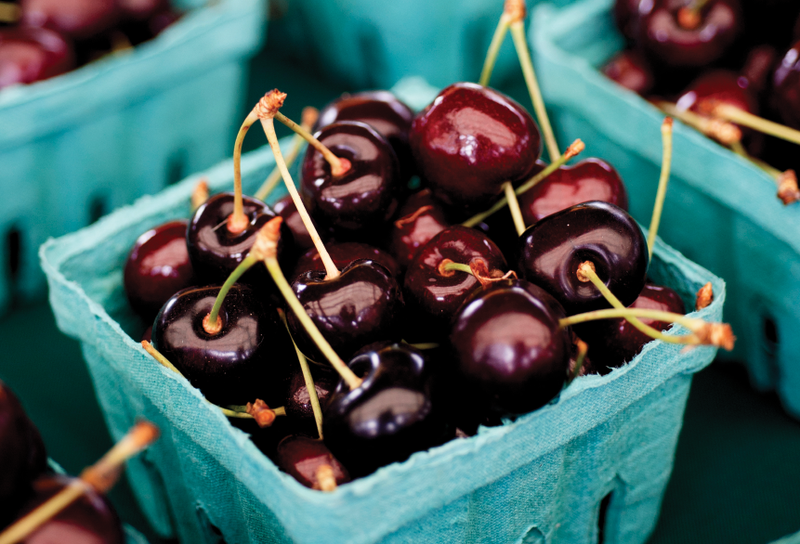 Home cooks can capture the freshness of Oregon cherries with recipes like chilled cherry soup from chef Daniel Oseas at Broder Øst in Hood River. “We would serve it with sweet or savory soup crackers, and it typically comes on the side with a lunch or breakfast,” owner Chad Hinman said. 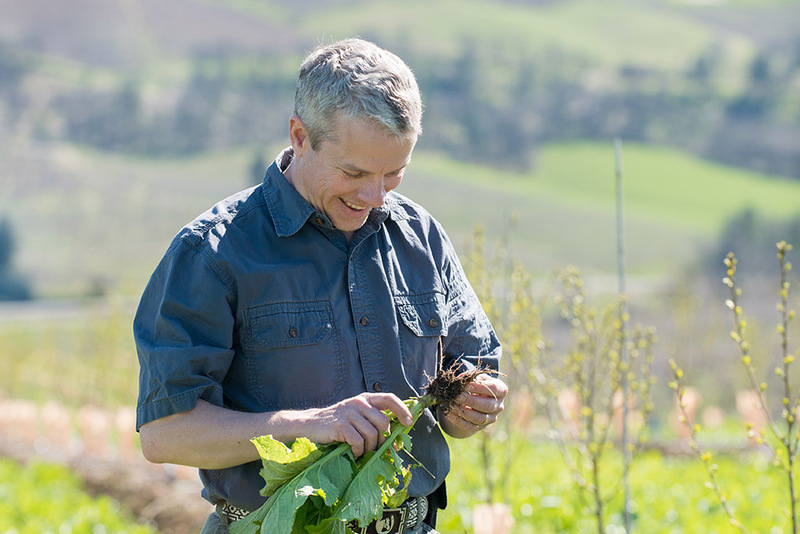 Incorporate the fruit into a simple main course with Oregon pinot cherry chutney from Scott Pisani, executive chef at Rain NW, a Eugene restaurant that focuses on locally sourced Pacific Northwest-style cuisine. It’s delicious paired with grilled pork, lamb or duck. If you prefer sour pie cherries to the sweet variety, try smoked cherry conserva with chicken liver mousse. The recipe from Chef B.J. Smith of Smokehouse Tavern in Portland is perfect for spreading on fresh bread and enjoying as a cool summer appetizer.